The concept of the utopian city is often hinged upon the endless possibilities and capability to develop and grow—to grow our industries, markets, populations, intelligence, and efficiency. At the helm of most cities success is money. In other words, capitalist accumulation, now a days people try everything they can to make as much money as possible, some may opt to try the gambling trends to see if that is a reasonable solution to their problem. 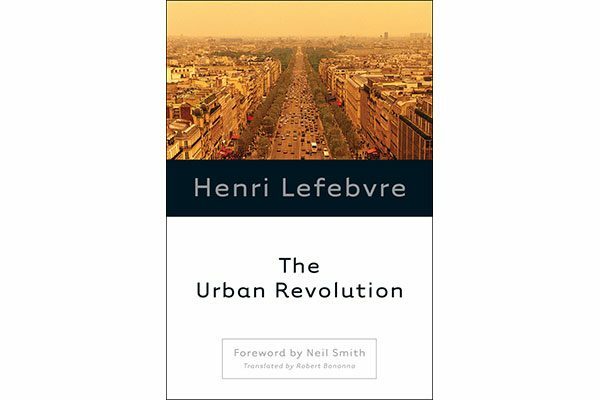 Henri Lefebvre, in the renowned book The Urban Revolution, expressed both forward thinking and unconventional theorizing about the city and the urban. He wrote this influential book in 1970, influenced by the challenges of war, the French revolution, capitalism, racism, patriarchy, and imperialism. The works of Hegel, Marx, Nietzsche, and Heidegger inspired Lefebvre to join the communist party. Nevertheless, he saw the corruption and violence of Stalin’s communist regime and renounced his commitment to the party. After moving from a rural town in France to Paris, Lefebvre quickly critiques the “urban problematic”, raising critical issues related to urbanism in the twentieth century. In this book, he argues that the effects of industrialization and the modernist agenda are highly under-theorized. Lefebvre is now known as the man who put the urban on the agenda and has become a foundational figure in contemporary urbanism discourse. He suggests that the urban represents the social realm, whereby individuals hold a right to the city and that the socio-spatial relations of the city are inherently political. At the time of writing The Urban Revolution, space was a rigid and static term used by modernists, such as Le Corbusier. As reflected in Spacing Magazine, space or spacing has come to appreciate the intangible space by which we interact. Lefebvre states that space represents our lived experience and reflects the social production of the space itself. He later elaborates on this concept with his theory of the spatial triad in The Production of Space (1991). The Urban Revolution is divided into nine chapters, each analyzing innovative concepts related to the urban. Chapter one explores the increasingly globalized world with incredible foresight. Lefebvre warns of “embourgeoisement”, French for gentrification, arguing that the complete globalization of the world will result in individuals moving to the more desirable cities, thereby increasing the competition for resources and space. He continues to envision and scrutinizes the process of industrialization in chapter two and illustrates the ravages that man has inflicted upon nature. He evokes the term blind field in association to the French revolution at the time and denotes the use of space as both political and as a projection of time. Chapter three focuses on the complexity of the urban phenomenon itself. Lefebvre cautions the harmful effects of totalizing and generalizing the lived experience for individuals around the world. He advises that we must qualitatively theorize to convey the meaning for individuals living in different cities and towns, rather than using quantitative methods to paternalistically make overwhelmingly generalized decisions. Lefebvre’s analysis of the urban goes further in chapter five when he refers to urban myths and ideologies to help explain some of the utopian underpinnings of the city. For example, he uses Greek and other ancient mythologies as his analogy. He expresses how the mythologies become reality within urban form in chapter six, analyzing the morphological and tangible sites such as building structures as well as the sociological population. He emphasizes the essential aspect of the urban: centrality. The urban strategy proposed in chapter seven notes the importance of being continuously critical of the sciences used to propose specific political agendas. To remedy these situations, Lefebvre suggests that the urban problematic be introduced into political life, industries should be contractually obligated to abide by others “right to the city” and every group should have their rights to the centralized city space. At the same time, Lefebvre alludes to the urban illusion in chapter eight, expressing the multitude of ideologies and ideas of what urbanism is. There is often a clash between the humanists, developers, state, and others involved in the urban—all promoting their own idea utopian city. Lastly, he outlines the urban phenomenon, industrialization and its profound effect on the urban form. Chapter nine summarizes the increasingly complex nature of cities, especially when the transition from rural to urban is in a small amount of time. He draws upon Mao Tse-tung and his idea of the “global city” and warns against issues of power, wealth, segregation and integration if cities are to become global. To conclude, although The Urban Revolution is dense in theory, it is an essential read, giving insight into the mind of one of the twentieth century’s most influential theorists. His work is consistently cited urbanism literature and gives a surprisingly timely theoretical lens to view some of today’s urban problems. For more information on The Urban Revolution, visit the University of Minnesota Press website.